A great vertical storage unit that will help you organise many areas of your home, be It the garden or conservatory. 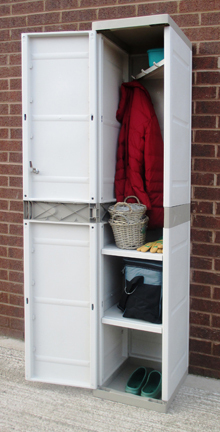 You can use the locker store for storing coats and the lower areas for shoes. If you come back from a walk or working in the garden, you can store the dirty items away to be reused later. 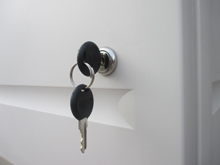 Even tools and garden items can be simply stored and locked away.